Western Belize is known as “Cayo”, and throughout this region there are innumerable small lodges tucked away in the jungle. There is a myriad of choice, and in fact if you visit our Belize Jungle Lodges map you can see for yourself just how many there are. Our favorites are listed on our Things to Do in Belize web page. Sample rates: Chaa Creek is arguably the #1 jungle lodge in Belize. 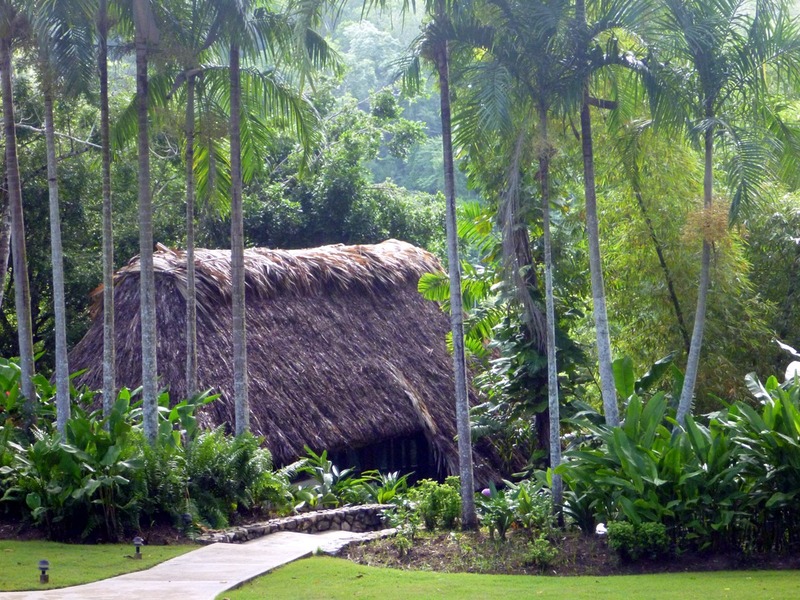 Cottages range from $389 – $899/night and include breakfast, guided tours of their Natural History Centre and Butterfly Farm, access to Ruta Maya Trail System, canoeing on the Macal River, a guided early morning bird walk and interpretive tour of their Maya Medicinal Plant Trail, and free wifi. The least visited part of Belize is in many ways the best. 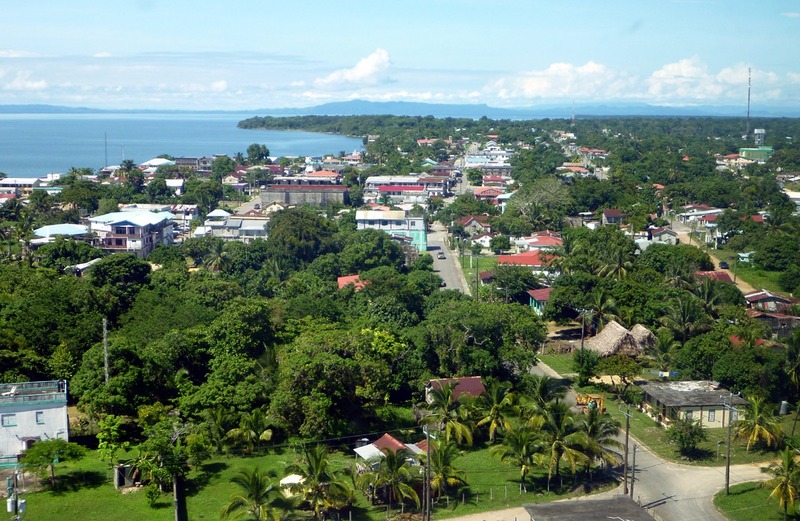 The entire southern region of Belize, located near the beautiful town of Punta Gorda (locally known as “PG”, pictured at left) is open for exploration. There are jungles and beaches and islands and ruins near-by, you can’t go wrong. There are excellent budget and luxury accommodations available. If you have a vehicle, or a guide with one, you can visit two Mayan ruins in one day: Nim Li Punit and Lubaantun. Visit our map of Belize ruins to see how close they are to PG. 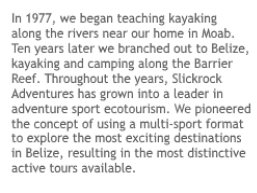 Sample rates: The best deal in PG is the Suncreek Lodge, which also offers fantastic caving tours. Rates there start at $50/night (!) for a simple cabana for two.